One of the densest concentrations of Great White Sharks (Carcharodon carcharias) in the world is found around Dyer Island. Most of the research worldwide on Great Whites is done here in Gansbaai and South Africa was the first country to protect sharks. 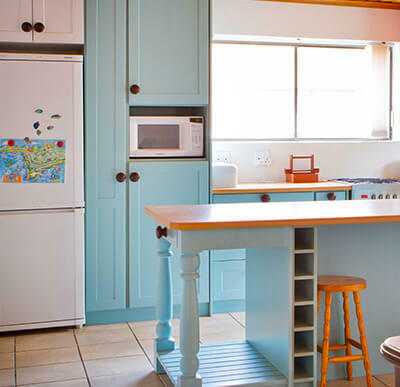 Eight shark diving companies at Kleinbaai provide opportunities for the conservation enthusiast and adrenaline junky alike to come to face to face with great whites. 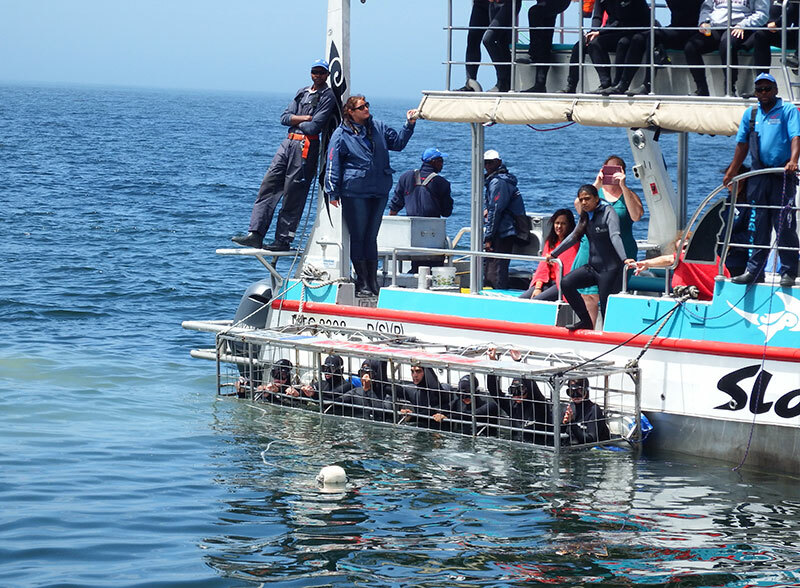 Gansbaai has her heroes who placed sharks firmly on the conservation agenda and worldwide TV screens for all to share in the excitement of a shark breaching to catch a frantically fleeing seal. Despite the large concentration of sharks, shark attacks are non-existing and it is very safe to swim anywhere along the Gansbaai coast. Support the research and work to conserve the Great Whites and book on one of the shark diving companies for a once in a lifetime experience. When the pup is born, it is 4 to 5 feet (1.2 to 2.5 m) long and completely able to take care of itself. Great whites grow to be about 4.6 to 6.1 meters or more and can weigh more than 2,200 kilograms. Great whites can live up to 70 years. Male great white sharks take 26 years to reach sexual maturity, while the females take 33 years to be ready to produce offspring. Great white sharks can accelerate to over 56 km/h.